Gently bite into one of our velvety, chocolate - coated, fresh cream ganache centers. The explosion of flavor and texture tells you these are very special truffles – meant to be enjoyed slowly, like fine liqueurs. 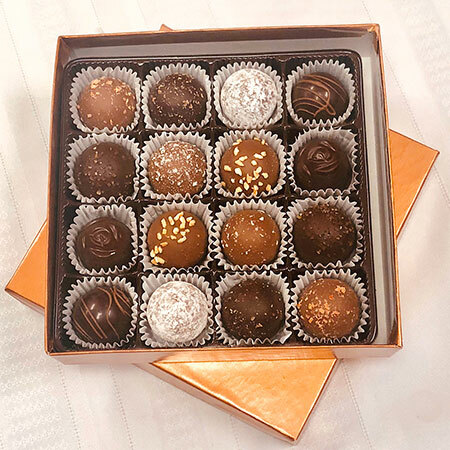 These contemporary bite-sized truffles are made using those time honored methods that have made truffles the world's most sought after confection – the most elegant of chocolate gifts.